Schalke’s season could go from bad to worse on Wednesday when they visit high-flying Chelsea. The sporting director of the German side has been forced to deny a club crisis following a 4-1 league defeat against Borussia Monchengladbach. Reports in the Daily Express suggest that Chelsea look set to cruise to victory next week, continuing their perfect start to the season. Saturday’s 4-2 victory over Swansea City moved the Blues clear at the top of the Premier League table with four wins out of four. 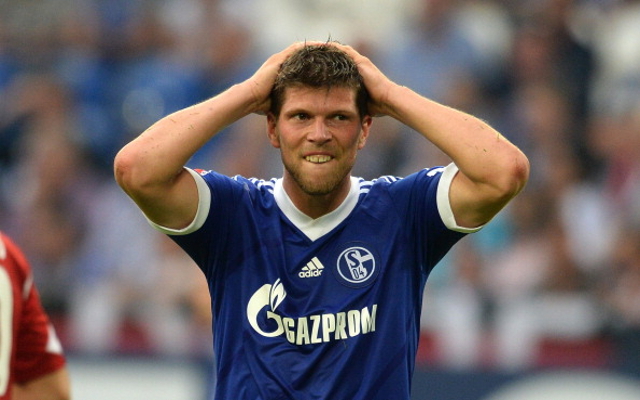 Schalke director Horst Heldt told reporters: “There is no disharmony. We’ve just got to remain calm,” following Schalke’s latest harrowing loss. It was their second Bundesliga defeat in three and calls for head coach Jens Keller to be sacked are ringing true in Gelsenkirchen. According to the source, Keller insists injuries are to blame for Schalke’s bad form, a notion that will only fuel speculation that his team will prove little match for the likes of Diego Costa and Cesc Fabregas, who have been in inspired form so far this term. “What you could see was how hard it is for us at the moment to cope with all of the players we are missing,” Keller told the club website.